Meaning there are only 59 days to WonFes!! I feel like I’ve written something like this many times before… but once again it feels like Winter WonFes was just the other day… I need to find out where all my time has disappeared to! (ﾟдﾟ) Letters asking about changes to products are quite hard for me to reply to… but I do pass the info onto the design team! (ﾟдﾟ) If you want to let me know something without me talking about it on the blog, just let me know in the mail and I’ll be happy to keep it quiet! Please note that whatever I write in this section isn’t official – it’s just my thoughts on matters! If you’re only looking for official news, you might want to dodge this post! I saw the ‘Nendoroid Complete File’ book has been announced, but I’m not sure what to expect from it. Can you take a look at it on your blog? The Nendo album goes on sale on the 22nd June! 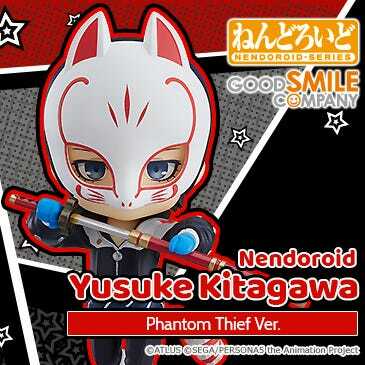 Details can be found on Hobby Japan or the Good Smile site, so take a look! 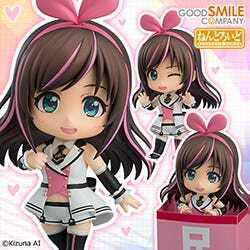 The Nendoroid Complete File is the first ever Nendoroid official album! 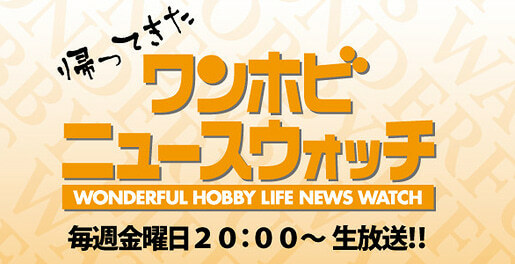 You’ll know everything there is to know about Nendoroids after reading it… probably! Thank you for releasing the UtaPri Nendo Petites! The quality looks incredible as I’ve come to expect from GSC. The Princes look perfect! A question regarding the UtaPri Nendo Petites – how exactly will they be sold? 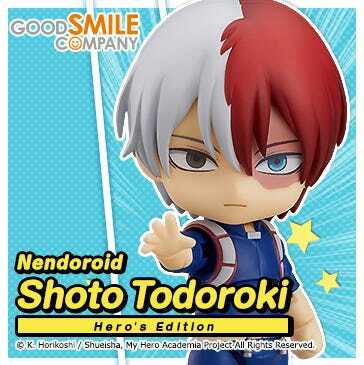 Will they be sold like the Madoka Nendos, or more like the Angel Beats Nendos in sets of three? I need to figure out my funding and need to know how much to put aside for them!! So much mail about Uta☆Pri!! I love seeing the female fans so exited about an upcoming release! I uploaded a picture of them to twitter a while back and got a ton of retweets! As for the question, they will come in a box of 12! 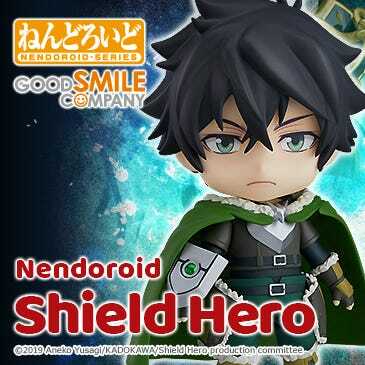 Thank you so much for making Tales Series Nendoroid Petites!! I’m a huge fan of the Tales series, so I can’t wait! My favorite character must be Reid from Tales of Eternia, will he be included in the set? Although in the end I’m fine with pretty much any characters, I’m really looking forward to seeing the line-up! I hope an announcement will be coming up soon! Will be announced this week! The Tales of Festival 2012 will be held this weekend, and the Nendoroid Petite series will all be lined up for everyone to see! You’ll have to wait and see which characters will be there!! I’ve been hooked on Fate/Zero and been buying all the original novels, goods, books and figures I can find… but I can’t find the lovely Saber in blue and white armor that wasn’t seen that much in Fate/Zero. I’m hoping that you can promise me a rerelease of ~Triumphant Excalibur~! Ever since I saw the non-colored prototype for the Princess of the Crystal I’ve been so exited thinking about what she will look like colored, that I haven’t been able to sleep! I hope we get the chance to see the painted version soon!! She is also now up for preorder! The 1/8th scale version of the Princess of the Crystal is also on her way, and she will be announced soon! I’ll be grabbing the prototype to take a look at on the blog as well, so look forward to her! A Nendoroid I bought some time ago seems to be becoming looser around the hips and shaking a lot. Is there some way to fix this? I’ve always been very careful with my figures, but a little while ago I damaged one of my figures through my own carelessness. I’m afriad tha if I try to repair it myself, I’m just going to end up damaging it more. 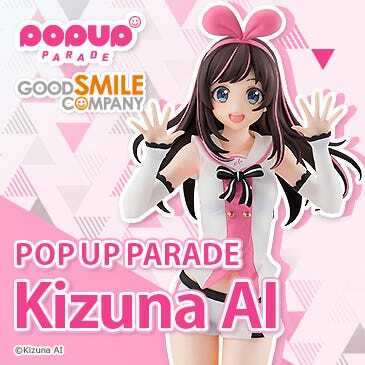 It was quite a special figure to me, so it’s really been eating at me… It was a figure sold over a year ago from Good Smile Company, is it still possible to get a hold of replacement parts in some way? Read through these posts relating to parts repair! Unfortuntely we can no longer supply replacement parts for figures that are over a year old… In Part 2 of the posts above, I show a way of reinforcing joints by making them thicker. Give it a go and perhaps you can repair the figure to be as good as new all by yourself! Recently I’ve begun cutting down on my food costs. While everyone else eats the campus lunches, I bring along a small lunch for myself instead! This is the lunch I made the other day. All my friends we’re saying things like ‘how simple’, or ‘what the heck is that’, and my parents were going on about ‘It makes it look like we don’t provide for you at all!’. Lunch was complete for me with just some rice and a tomato! What do you have for lunch, Mikatan? Make sure you’re eating properly!! If you don’t keep a good balance of nutrients your skin will end up rough!! I saw that my favorite Vocaloid Character, Luka is getting the scale figure treatment. I’ve been looking forward to her ever since I saw the report on HJ, and I’m so glad with the way she has come out. I can’t wait for her to be released. I personally love figures that make use of clear parts, so the way Luka has been made is perfect! I can’t wait! I’m glad you like her! Thanks for the comments! As expected from Max Factory, it really is a stunning figure – I really enjoyed photographing her! The gradient and sculpting of her hair is an absolute work of art! You’ll be able to grab her soon! 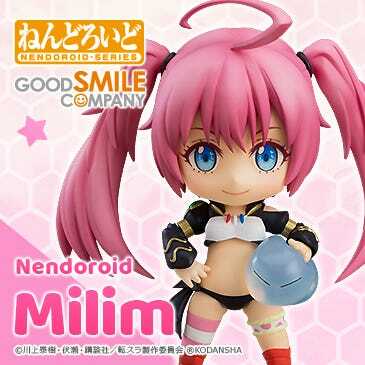 Awhile a go I sent a mail asking for a standard sized Nendoroid of Sakura Miku, and I knew I could trust that Good Smile Company would release her sooner or later! I can’t wait! Will Sakura Miku be available for purchase from overseas? Thanks for always making more and more adorable Nendoroids! We are currently working on optional parts for Sakura Miku! She’ll be available for preorder shortly. The sales method that will be used to sell her is still being negotiated with Crypton, but as soon as we have a definite answer I’ll be sure to let everyone know! I bought some K-ON! Nendoroid Petites, but it seems I picked up some bootleg versions… the eyes and area around the neck of the school uniform versions made it obvious that it was not the work of GSC. All the parts that are normally separated were all placed in a single bad, and the plastic in-between parts like the hair and skirt was nowhere to be found. Thank you for including pictures as well! We upload images to the GSC website to help our customers tell the difference between bootlegs and authentic figures. But sometimes it is difficult to tell the bootlegs from the originals… if you find a bootleg please contact the international team or myself with whatever information you can. I can’t stand it when people give GSC a bad name with poor imitations! Thank you for the quick support! I look forward to more products in the future. At the same time, apologies for causing the problem in the first place! A lot of the work done in the mass production of figures is done by hand, so there can be certain times when parts are incorrectly placed – even though we take the utmost care to try and prevent it. I’ll send you kind words through to the support team – thank you! I just voted in the GSC 10th Anniversary Rerelease and Product Request polls. I was so glad to see a project like this in place! I’ve managed to get hold of most of the figures I’ve wanted, but there are a few older products that have been very hard to get. I hope to see more similar projects in the future! The results of the polls can be found here! The rereleases of all of the above can be ordered now! We are still taking a look at which other products can be put on resale based on the poll results. As soon as we’ve confirmed which are possible, we’ll let everyone know! I really enjoyed watching the Nendoroid Sonico Time Trial! A great effort from all the sculptors that took part. Working on something above what people normally expect brings a lot of excitement and appreciation from those who are watching. The Exciting 11-Hour Figure Making Trial! The brushed up Sonico-chan just finished taking orders! Nendoroid Super Sonico: Tiger Hoodie Ver.! I hope everyone got their orders in! That brings this Kuroyagi-san’s Letter Corner to an end! I read through every single one of them, and as always, I’m always looking for more mail from readers! If you have any questions, photos, product requests, want to talk about what you ate today, your thoughts about the upcoming WonFes… no matter what you want to talk about, send it through to me! Girls and boys both welcome! The forth episode will be broadcast from the closed GSC Cafe in Matsudo! 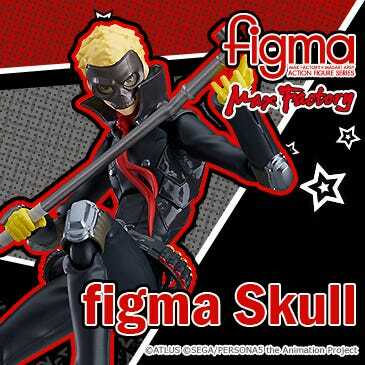 We’ll be taking a look at lots of interesting things including introducing new products and the figma posing championships! Timeshift will also be available! Nihao everyone! My name is Suzuki from Good Smile Shanghai. Yesterday I briefly introduced everyone to Weibo, but just using the net to get products to people isn’t enough, so we had to establish somewhere that Chinese customers can come by to take a look at the products as well! We are making arrangements to attend various events! There are all sorts of events held in China all the time! The image above is from an event called Comic Fantasiata which was held on the 13th May. The photo was taken just after the end of a cosplay contest. Most of the cosplayers were characters from Japanese anime! We are currently hoping to take part at the CCG EXPO which will take place in July this year. I hope to pass on the happenings of the event with everyone once it is over!